Hi! Why can’t I find “Florida Sensation” AKA “Sweet Sensation” AKA “FL-127” for sale anywhere? Just looking for gaviota strawberry plants. Do you know any place I can order them from. Looking for 40-50 of them. Can’t seem to find any. Hi, great website! Is there a way I can search for a nursery / supplier by location, so that if I want to go pick up plants in person, I can see which places are in my area? We do have a local directory here. Click your state to see if there are any nurseries in your area. Thanks! Do you know any reputable seller that can ship internationally, specifically in Philippines? There are usually restrictions on importing and exporting living plants across national borders. You might have better results trying to have seeds shipped to you. Good luck! I can’t tell you what variety that was, but the recommended varieties for each state can be found here. Good luck! 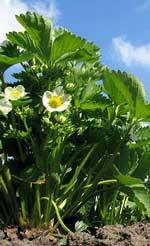 Your best bet will be the suppliers who ship fall strawberry plants. Good luck! I have come across a dark red berry that is red and sweet all the way through the inside, no white at all. I’m in south east Michigan…all the store berries are white inside. I bought these at a farm and they don’t know what kind they are. I want to grow this kind. Can you help? Unfortunately, I’m not able to identify it based on just that criteria. I’m sorry! 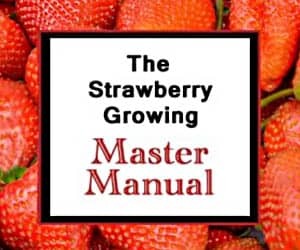 Jason Inch, Carther Plants in Thamesford, Ontario, Canada is just starting to sell strawberry plugs. Thanks for letting me know. I’ve included them in the directories.